Dare To Watch A Show At Pune's Most Haunted Movie Theatre? Victory Theatre is one of Pune’s oldest remaining single-screen cinemas, located on East Street in Camp. Formerly known as ‘Capitol’ until 1987, this historic theatre earned the name ‘Victory’ after the owner won a decades-long legal battle for rights to the property. Around a century (or more) old, this colonial-era theatre was once used as a playhouse for the British – and is also said to be the site of a famous ‘bomb blast case’ during the struggle for independence. Much of the original structure remains intact – including the exterior facade and portico – while the insides have been renovated with a modern touch. The single-screen remains, with around two Hindi movies (Bollywood and Hollywood-dubbed) showing per week. The cinema hall offers both stall and balcony seating; with cushioned seats in place of their old metal folding-chairs, an digital projection and sound system, and of course – air-conditioning. Their outdoor ‘Cafe Victory’ snack counter serves sandwiches, samosas, popcorn, and beverages – but you can also grab a bite at neighbouring Kayani or Bagban before/after your show. Tickets are very budget-friendly at Victory Theatre; priced between INR 70 – 110, or INR 180 at most. You can book online and collect them from the box office on-site, or just buy them directly. Victory Theatre isn’t exactly cut out for a date-night movie, but it’s great fun to watch a show here with a group of friends. 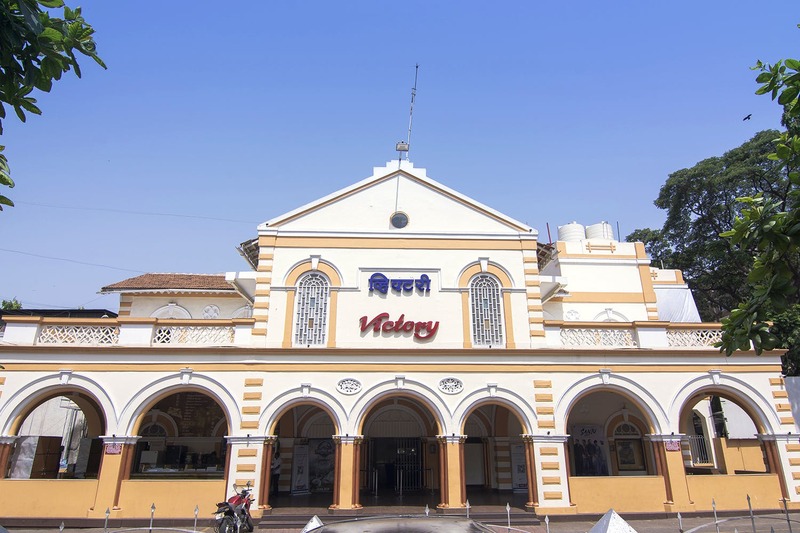 Victory Theatre is also rumoured to be one of Pune’s most haunted places – with people having reported hearing disembodied voices (laughter and screams) when no-one’s around, random loud noises, and the sound of chairs moving when the place is empty! Dare to brave a late-night show, here? Let us know in the comments!